Acura is all set to introduce the all-new TLX, a merger of the TSX and TL lines that combines luxury and performance into one stunning production vehicle. If you’ve been waiting for a glance of the 2015 Acura TLX, brace yourself—the performance-luxury sedan is set to debut at the 2014 New York International Auto Show. 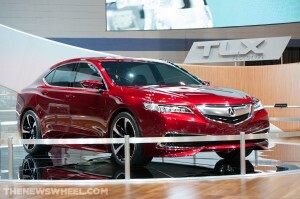 The 2014 Acura TLX production car will debut next month! Acura will offer two different powertrains for the 2015 TLX, providing consumers with the choice of either a 2.4-liter four-cylinder engine or a 3.5-liter powerplant, churning out plenty of power that won’t leave you disappointed. The luxury sedan will also feature the next-generation Acura Precision All-Wheel Steer™ technology with the 3.5-liter engine option, allowing for the best handling possible. To appeal to those who care more about an opulent interior, the TLX features a cabin that remains quiet, no matter the conditions. It will also offer a plethora of advanced driving technologies, including Collision Mitigation Braking System, Forward Collision Warning, Lane Departure Warning, and Blind Spot Indicator, among others. The Acura press conference is set for 1:50pm on April 16, so be prepared to be amazed. If you can’t make it to the New York International Auto Show yourself, make sure you check out the live feed here. Purchase a 2014 Honda Insight, a stylish and unique hybrid hatchback, from Avery Greene Honda in Vallejo, California today! 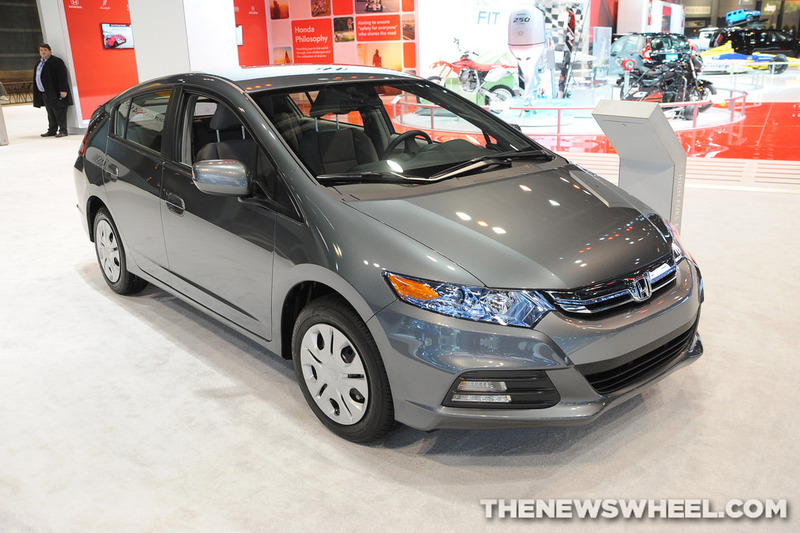 The 2014 Honda Insight hybrid is available now in Vallejo, California! A truly unique vehicle in today’s automobile market, the Insight blurs the lines between hybrid and hatchback, offering a sleek and modern look that mirrors its innovative fuel economy, estimated by the EPA at 41 mpg city and 44 mpg highway. Inside, the Insight is also very modern, packing in tons of great optional features like Eco Assist, a Multi-Information Display and Bluetooth HandsFreeLink that help make it a smart, well-rounded and fun vehicle for all types of drivers. For a full account of specs, features and trim level options available for the 2014 Honda Insight, head over to Honda’s official website. Avery Greene Honda wants to sell you your next car! Visit our Vallejo, CA Honda dealership to test drive a great new Honda vehicle like the 2014 Insight, Civic, Odyssey or Pilot! We also maintain an excellent inventory of used cars in a variety of makes and models, plus an expert Service Department that works on most vehicles and auto makes. For more information, head over to our website or follow Avery Greene Honda on Twitter! The 2014 Honda Odyssey broke new ground when it hit the market in late 2013 and became the first automobile to offer an in-vehicle vacuum cleaner, making it a hit with parents of particularly messy children. Now, U.S. News & World Report is reaffirming the Odyssey’s family utility once more by naming it their “Best Minivan for Families” for a fourth consecutive year. The 2014 Odyssey, which topped U.S. News & World Report’s minivan rankings for 2014 as well, receives plaudits once more for the talents it has fine-tuned over the years: handling, safety, comfort, and fuel efficiency. The 2014 Honda Odyssey was named the Best Minivan for Families this year. U.S. News & World Report’s Best Cars for Families are determined based upon reviews, safety and reliability ratings, family-oriented features, and passenger/cargo utility. Provided that the Odyssey is the only minivan to earn the Insurance Institute for Highway Safety’s (IIHS) TOP SAFETY PICK+ distinction, as well as the recipient of an NHTSA 5-Star Overall Vehicle Score, its safety is impeccable. Given the Odyssey’s status as the best selling minivan in America, its popularity is unquestioned. 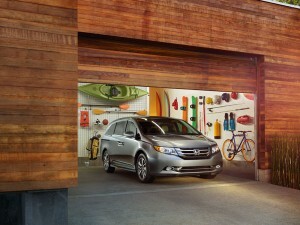 These factors make the 2014 Odyssey’s place n U.S. News & World Report’s Best Cars for Families list something of a lock. The addition of the groundbreaking HondaVAC system? Well, that’s just icing on the cake. Want to see what makes the Odyssey perfect for family needs? Come check one out today at Avery Greene Honda! Don’t forget to visit Avery Greene Honda’s Twitter page to learn how you can win a $250 gas card! Avery Greene Honda is Holding a Twitter Contest! Avery Greene Honda is happy to announce that we’re giving away $250, $150 and $100 gas cards on our Twitter page! In a special promotional contest for our brand new Vallejo, California Honda facility, Avery Greene Honda is offering its Twitter followers the chance to win gas cards from our Twitter profile. 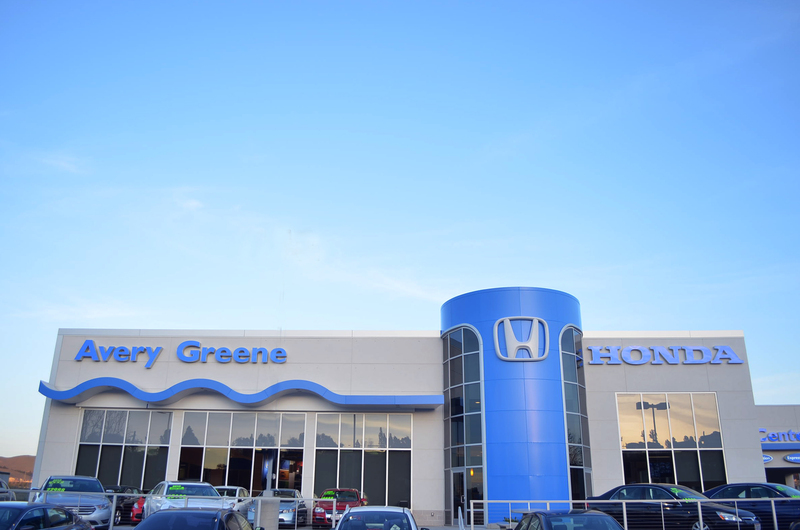 All followers have to do is follow Avery Greene Honda (@AveryGreeneCA) on Twitter and retweet a photo of our new facility. Every follower that does so will automatically be entered in the drawing for the cards! Retweet this photo on our Twitter page for your chance to win a $250 gas card! Avery Greene Honda encourages everyone to participate in the contest! Just a simple click of a button will put you in the drawing to win! We also welcome you to visit the brand new Avery Greene Honda in Vallejo, CA! This is not just a makeover or upgrade – our dealership has moved into a brand new state-of-the-art facility that houses our new and used car departments, as well as expert service and parts facilities that will help you keep your car in the best condition possible! Come check it out today! From all of us at Avery Greene Honda, good luck in the Twitter contest and have a great weekend!